One day, I wore a deep fuchsia pink dress. I applied MAC Flat Out Fabulous Lipstick. I love when my lips match my dress or top. Hubby & I left our hotel room. Yes, this was that time we were on our Babymoon. We decided to eat lunch first before going shopping. Chinese. Soupy noodles. Fried Rice. Chilli Chicken. Waiting-for-the-check time was lipstick touch-up time. I didn't need a mirror to tell me I had only a fuchsia pink outline on my lips. I blotted and gently wiped off the edges. Oh My Gah! I'd forgotten to toss MAC Flat Out Fabulous into my handbag! Not only that, there was absolutely no lip product in my bag. Not even a lip balm (or a Fox's raspberry candy I could rub my lips with!) It's what usually happens when you change handbags! "It's like an ensemble! ", I told hubby who didn't see what the big deal was. "And I thought you're not supposed to buy any lipsticks. ", he added. "I know, but....this is an exception!" and we were standing in front of Colorbar. I told the SA that I wanted a lippie shade that's exactly like the dress I was wearing. 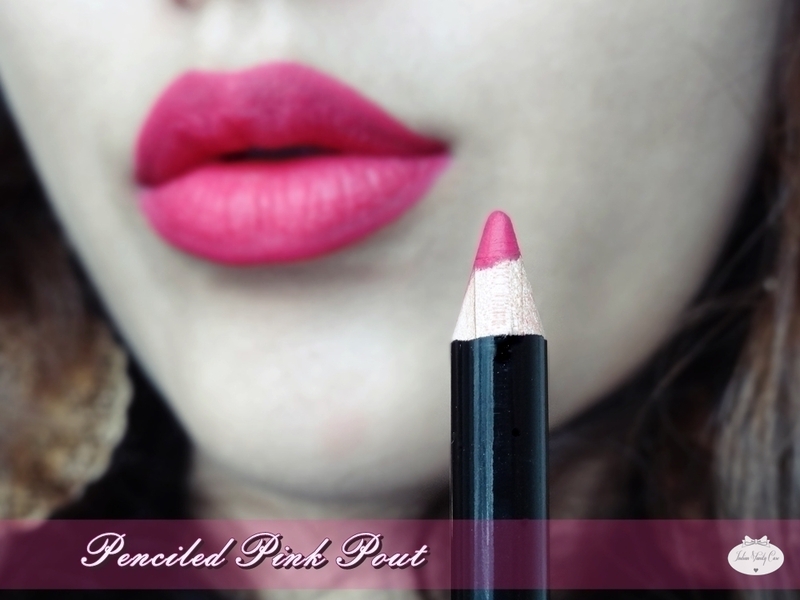 Colorbar Definer Lip Liner Berry Rose 004 ~ LOVE it! It glides on smoothly, it's lightweight, it's non-drying even though it's very matte, and fragrance-free too. Ooh...and a sharpener is attached to the cap! Comparison Swatches: MAC Flat Out Fabulous Lipstick, Colorbar Berry Rose Definer Lip Pencil, NYX Soft Matte Lip Cream Addis Ababa. MAC Flat Out Fabulous is much more purple & NYX Addis Ababa is pinker. If I weren't on this ban, I'd be buying all a few more shades of this lip pencil. So what do you think of Berry Rose? I absolutely HATE it when this happens! I don't like my lips bare. It just ain't my thing! you look super cute and I loved the way you described on how and why you got the lip pencil. As always, perfectly matched to your dress. Sorry! ;p Ooh...Sao Paulo is also gorg! Its beautiful ! The shade has so much depth in it! and the lip swatch totally nailed it! That looks drop dead gorgeous on you! Do check out www.youtube.com/fatimasalimk and subscribe please!